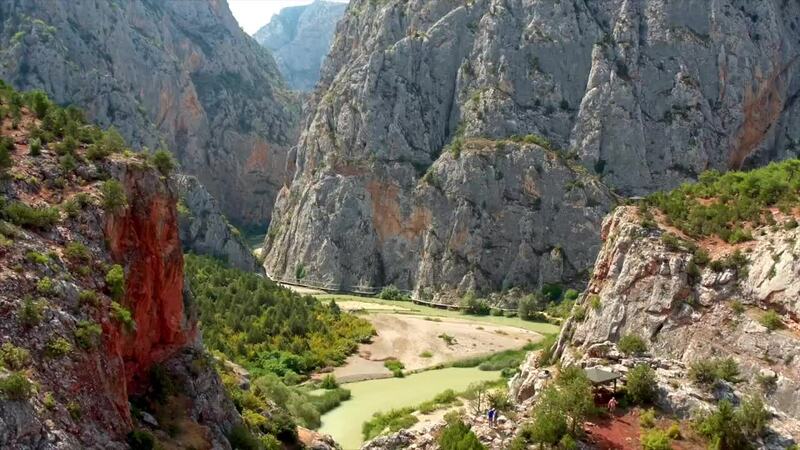 Check out this amazing aerial video of a canyon in northern Turkey, compliments of contributor and drone pilot BatuTurkey. The Canyon of Incesu is located in the province of Corum, a province of the country's Black Sea Region. It's part of the "second line" of provinces in the region which do not sit on the Black Sea; rather, it's inland from the Sinop province. The canyon is located in the mountains which run parallel to the Black Sea for much of the length of the region.